Boston, MA (617) 383-9200 ^Uw LABORATORIES, kriC. JAMES S. KROGEN & CO., INC. 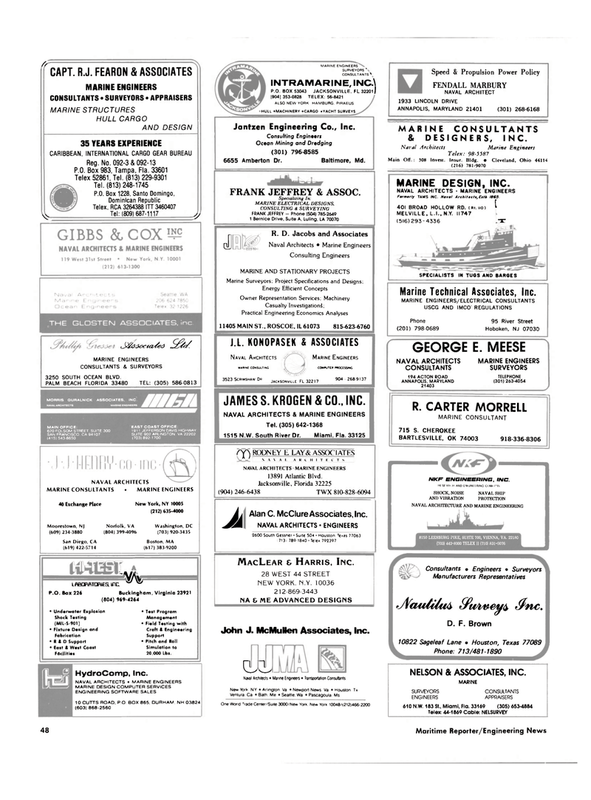 NAVAL ARCHITECTS MARINE ENGINEERS 13891 Atlantic Blvd. Manufacturers Representatives 'jVoutiluA SPwtveyb <$nc.